A raised UV Varnish which brings your business card to life. 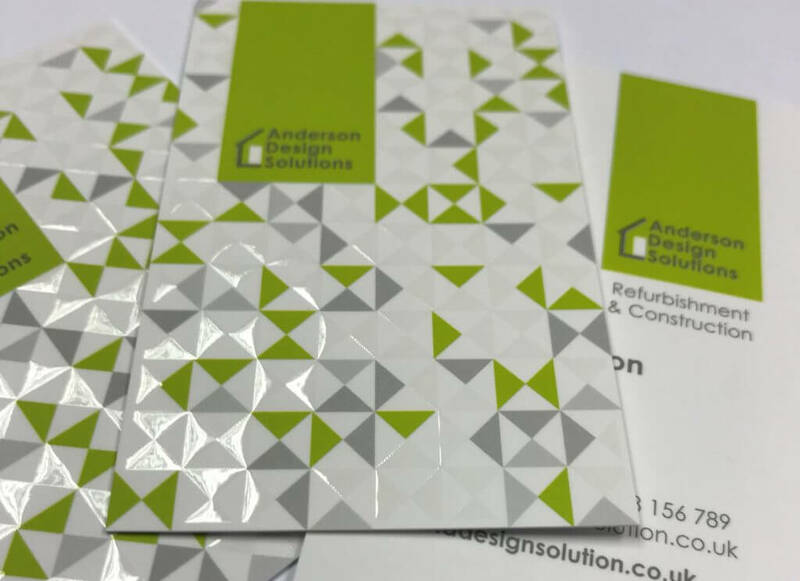 Layered over a soft touch laminate and a 450gsm satin card these are beautifully finished cards which will impress any of your clients. This varnish can create a 3D feel and appearance to your business cards with a velvet style finish.